• The Nebraska woman charged in the November 2017 deaths of three members of a Sabetha family has pleaded not guilty to the charges. Find out more about the case, as well as when the woman will stand trial. 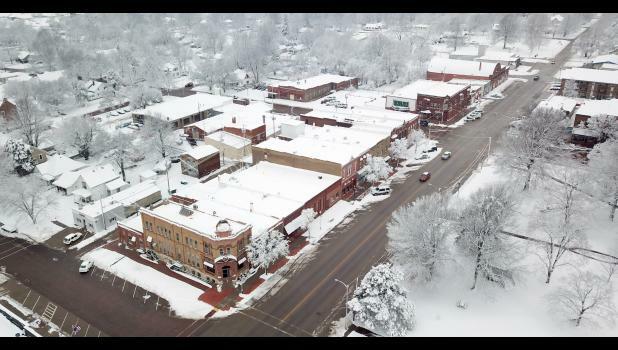 • Jackson County received from four to eight inches of snow that fell on the area this past Friday and Saturday - and more is on the way this next weekend. • The body of a Topeka man declared missing is found in southern Jackson County. Find out more from Jackson County Sheriff Tim Morse about Dannie Smith and where he was located. • At the midpoint of the 2018-19 school year, Royal Valley’s school board is reviewing the district’s goals for the year and what progress has been made to achieve those goals. Also, a local history buff locates a sign that gives a glimpse into business on Holton’s Town Square at the turn of the 20th century. Sign in to your holtonrecorder.net account to find out more about these and other stories.